"Harry, get out of the movie business." Ha! But I love the color on that card and the Haldane title logo. That's the card I would have gone after if I was flush enough. 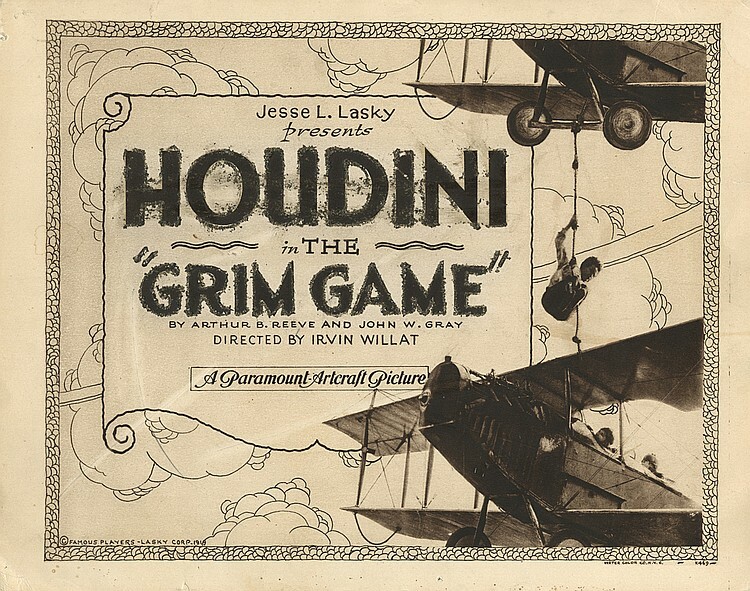 John: Looks like your Grim Game Lobby Card just went up in value. 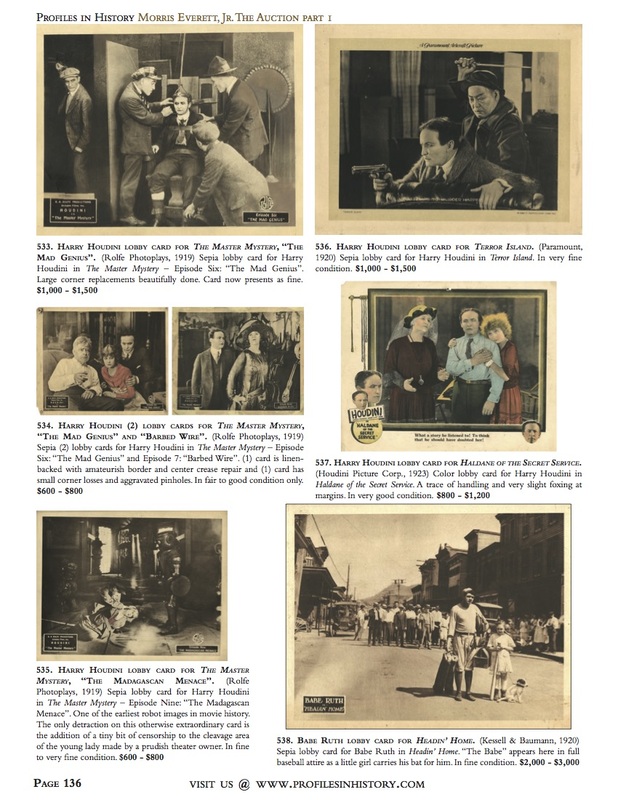 BTW: I am aware of two other styles of Grim Game Title Lobby Cards that are even rarer than the one that sold for $5500. The value of everything HH shot up since that Houdini Potter & Potter auction last year. Unsigned original photographs are now in the thousands. That's true. There has really been an explosive of Houdini in popular culture lately, and I think this is also helping push up values. 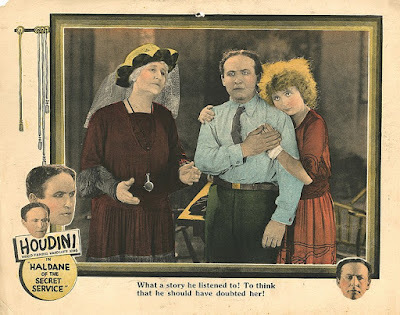 Houdini was hot well before the Potter was even in business Leo.In 2006 a Houdini Poster sold at Swann for $78,000, actually two of them sold for that.Other examples too. 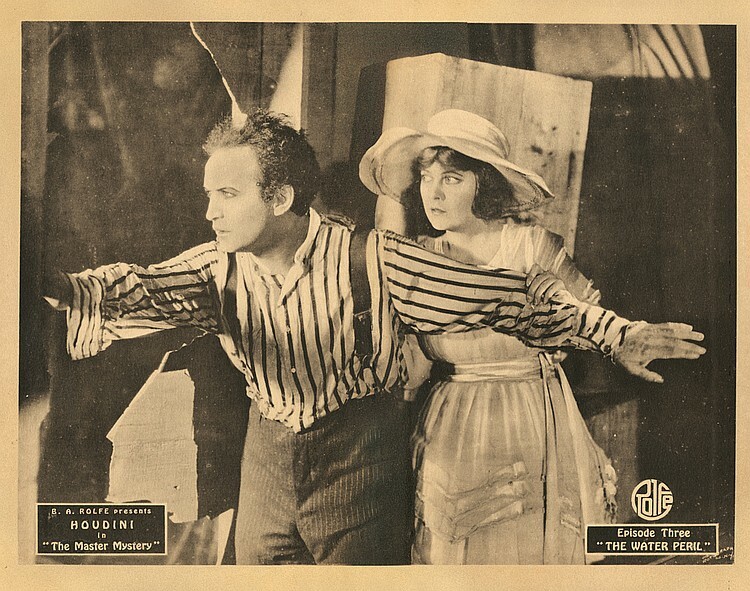 Recent photos show the market for Houdini is still strong. That last Haversat auction a small photo went for nearly $4,000. 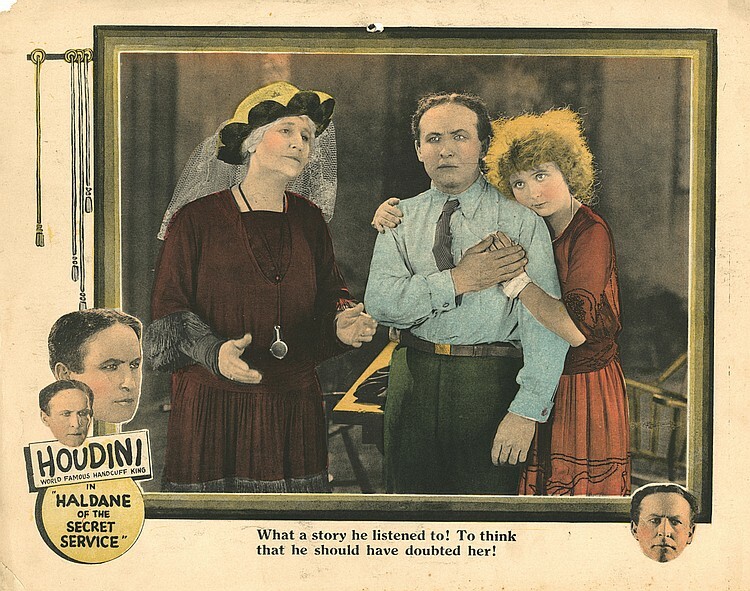 The market for Houdini has been strong since the 1990's with the Butterfield auction, some record prices at that time as well. The Houdini market got even hotter after the Potter & Potter auction. 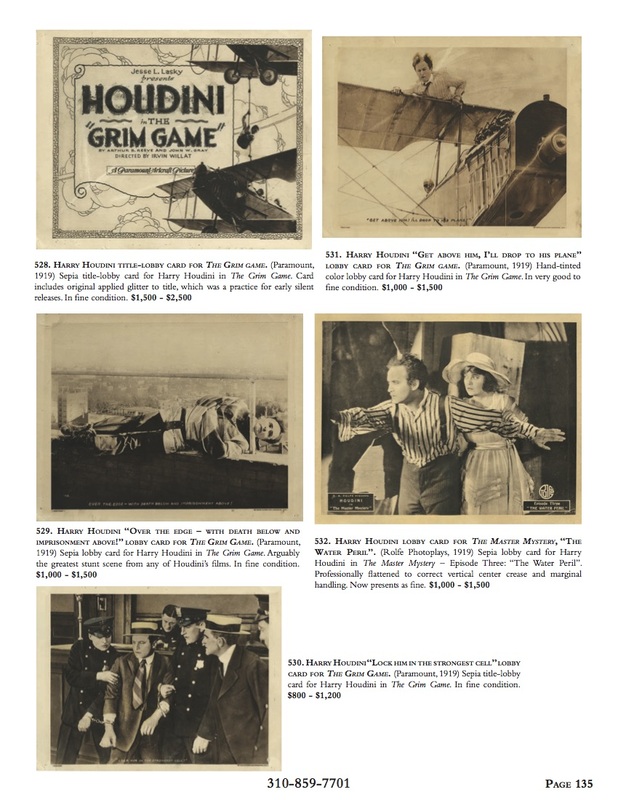 Posters of famous magicians have been expensive for a long time. That was a given. I referred to the smaller ephemera that had hitherto been much more affordable. I'm sorry, but that statement is still incorrect. Here are some figures to ponder with prices going back well over 10 years ago. Compare the dollar then to now and the prices are higher. Houdini photos, postcards, challenges and posters were in demand well before any of the current auction houses were in business. The auction company you are promoting has nothing do to with the uptick of higher prices. Can you believe an original Houdini pitchbook just sold on eBay for only $130? Nice to know this can still happen.